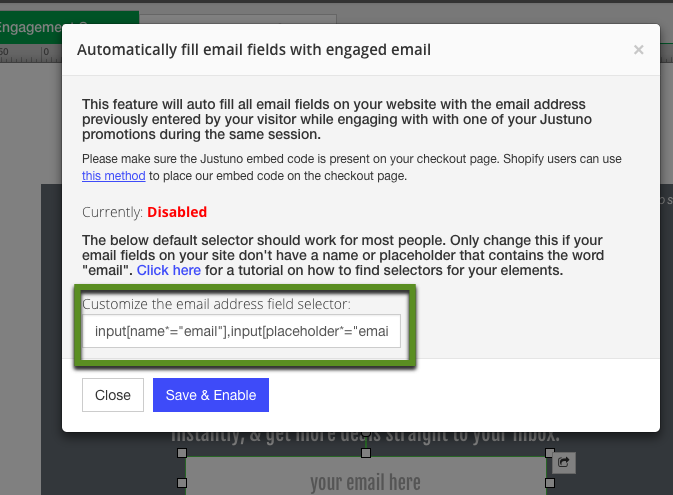 Activating this feature will auto apply an email that was entered in Justuno to all email fields on your website! This feature should function a 90% of websites, if this feature does not function as needed please contact your developer to find the correct email field value to add into our system! To turn on this feature, follow the steps below! 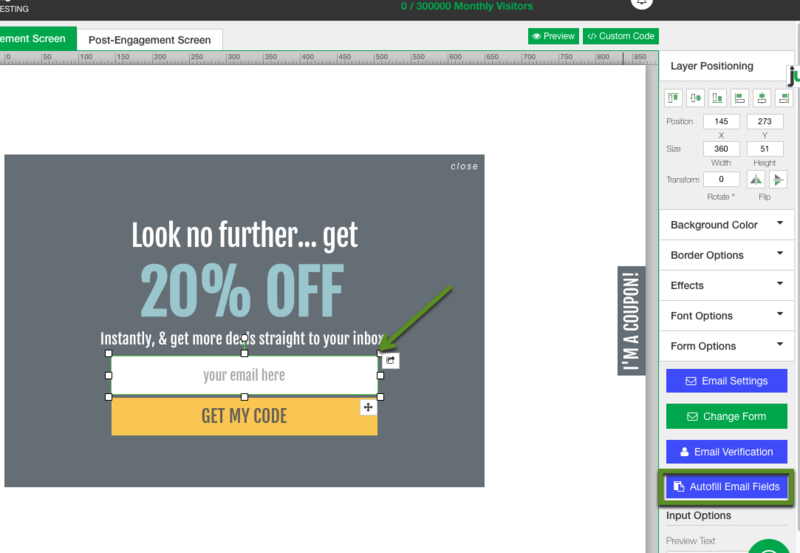 Step 2: In the design canvas head to pre engagement tab and click the email field, if you do not have one in your design use this article to add a email field. Step 3: Use the options on the right hand side when the email layer is clicked to add the "Auto Apply Email" option. Step 5: If, for any reason, this feature does not work on your platform you can enter in the correct values and then hit save and enable!